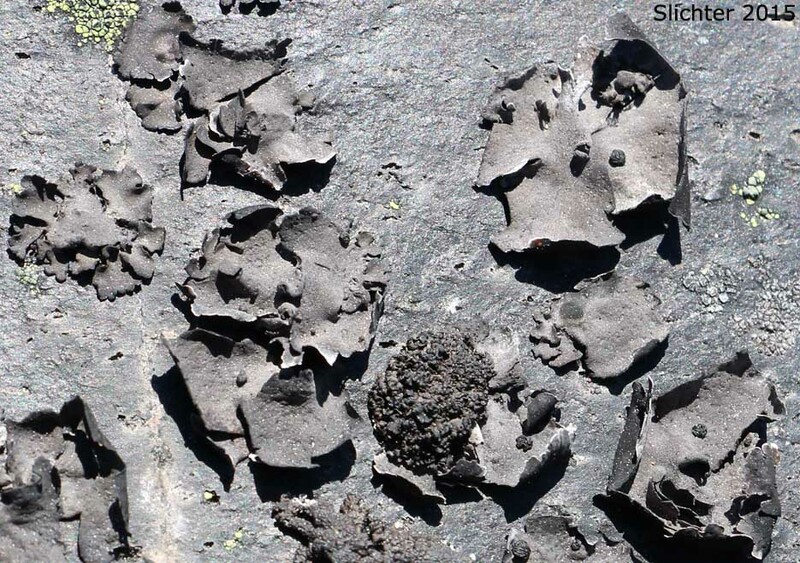 Possibly blistered Rock Tripe (Umbilicaria hyperborea) and navel lichen (Umbilicaria phaea) on a volcanic rock along the Butte Camp Trail #238A near the Loowit Trail #216, Mount Saint Helens National Monument..........June 9, 2015. The following is a very incomplete list of lichens which might be found in the Cascade Mountains of Oregon and Washington. Those species followed by a question mark are not currently verified for this area but may be there. The following information regarding lichen distribution was found on the "Consortium of Pacific Northwest Herbaria" website (http://www.pnwherbaria.org/index.php). 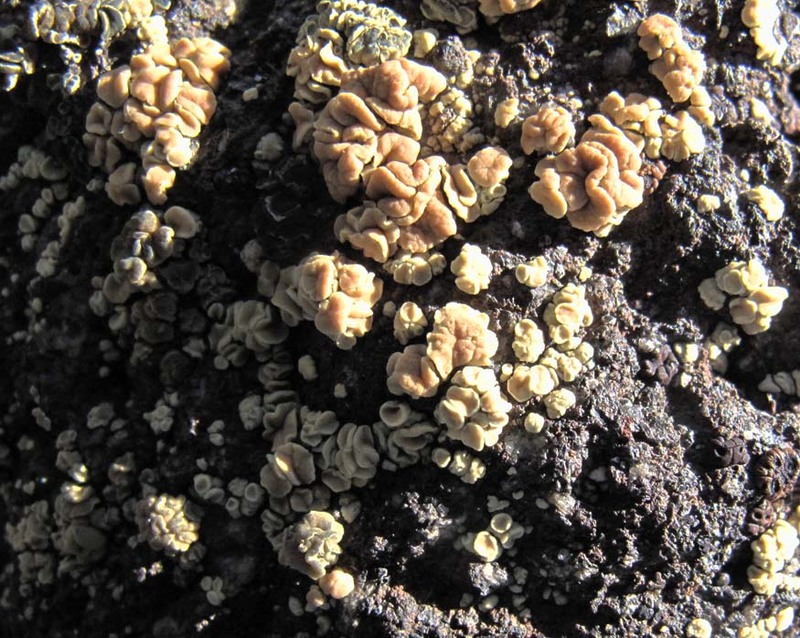 Unidentified Lichens: Can you help verify the identity of these lichens? A crustose lichen, possibly a Rhizoplaca sp. on andesitic rock as seen along the Climber's Trail at the southwestern head of Hellroaring Valley, southeast corner of Mount Adams..........August 12, 2013.